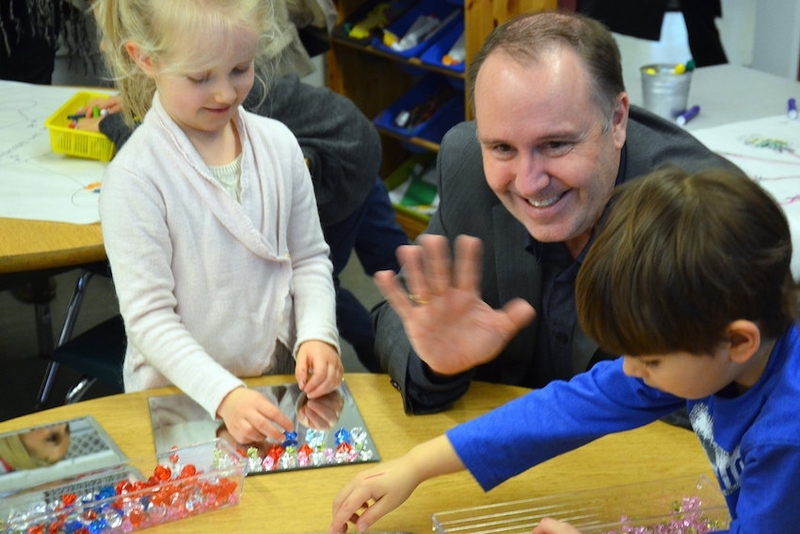 Education Minister Mike Bernier visiting Ecole Cedardale Elementary in West Vancouver school district in Dec. 2015. Photo courtesy Province of BC Flickr page. If B.C. Education Minister Mike Bernier thought firing the Vancouver School Board (VSB) would send a silencing chill across other school boards, he got a surprise with the Qualicum School Board’s October 25 decision to boycott his upcoming visit to their district. Bernier likes to be seen — and even more so, photographed – visiting schools and classrooms and touting good news about B.C.’s public schools. He’s not known for hanging around to listen to concerns from locally elected school trustees, teachers or parents. During his only meeting with the elected VSB last year, he responded to the few issues we got time to share by saying “you should be more positive.” And then he was off. 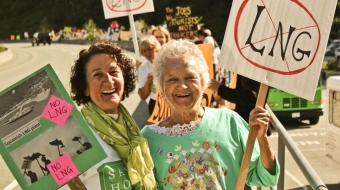 According to a story in the Parksville Qualicum Beach News, last week’s boycott decision was sparked by a board discussion about asking the B.C. School Trustees Association (BCSTA) President, Teresa Rezansoff, to rescind a letter she wrote to Bernier supporting the VSB firing. That surprising letter incensed several B.C. school trustees who believe the BCSTA should be advocating for respect for locally elected boards — whether they’re BCSTA members or not (the VSB withdrew from the BCSTA in 2014). The Rezansoff letter rescindment vote passed and was followed, according to the newspaper report, by a vote to boycott Bernier’s visit and send him a statement calling on the province to provide “sustainable, adequate and predictable” public education funding. "I've seen these minister visits in the past. They are photo ops — we show the great things we're doing in the district; they tell us the great things the province is doing. I don't think they're that useful. I think this (boycott) does make a point. I'd like us to take a stand like that." What I really appreciated about J.R. Rardon’s Parksville Qualicum News story is that it included some interesting quotes with the Board’s Superintendent of Schools, Rollie Koop, weighing into the debate, urging the trustees to think twice about the boycott. He’s quoted as saying “This is one of those difficult moments where senior staff is caught in that place where we serve two masters." "The minister is embarking on a tour of B.C., hitting districts around the province and providing an opportunity for trustees to meet face-to-face and share their concerns and issues and causes of celebration, and also to showcase something happening in schools that deserves to be shared in front of those decision-makers. "I understand the position and the clear message you want to send about funding for education; I challenge whether you can make that case more directly to him. I'd ask you to consider whether your role for advocacy for public education is better served by turning down a meeting, or sitting down face-to-face." This is interesting to me as it highlights the “two masters” problem faced by B.C. School District Superintendents and their trustees. They’re employed by their boards but are often given direction by the Deputy Minister of Education or his staff. This challenge became glaringly obvious during what we went through over the past three months at the VSB as senior staff — who’ve now been on various forms of leave for over a month — were taking orders from the Ministry and in some cases doing so without trustees’ knowledge or consent. 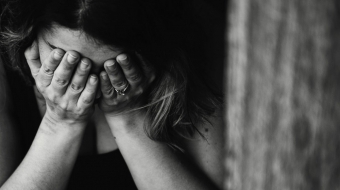 That forces them into what some might consider a breach of trust position with their employer — a pretty tough spot to be in. Koop may well be worried he’ll be in trouble with government for his board’s decision to boycott the Minister’s visit. 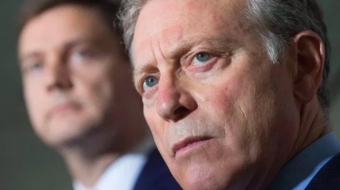 He may or may not get a slap on the wrist but he also knows that if things escalate between his board and the minister, his board could be fired and he’ll be working for a government appointee, like his counterpart in Vancouver will be if he returns from leave. This is a problem. Last June, the Vancouver Superintendent of Schools, Scott Robinson, told me he “might be in hot water” with Ministry of Education Deputy Minister Dave Byng for refusing to advise the VSB trustees to take Bernier up on his “offer” to let the board sell Kingsgate Mall and use some of the proceeds for operating costs. Government needs to stop giving orders to school district employees and thus creating conflict around their board tables.